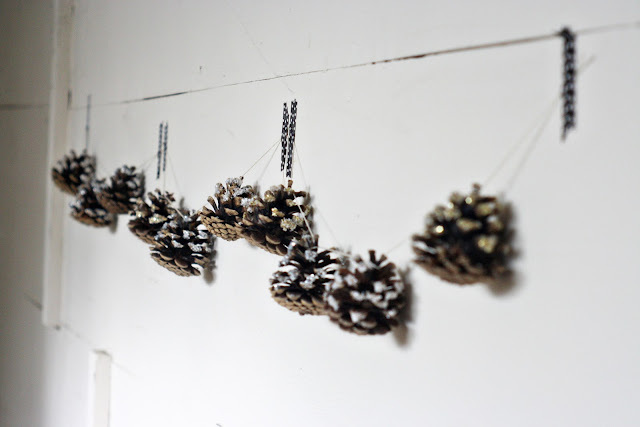 I mentioned here that we painted some pinecones this last weekend, well, we also glittered some up while we were at it. We had a plethora of pinecones because M+L love finding "treasures" on our walks. And I have to admit finding and bringing home pinecones makes the walk feel a little bit more like an adventure for me too. I made this little garland out of our glittered ones and I am thinking it's going to be my inspiration for decorating this year: simple with a little sparkle. I'm going for simple, elegant decoration too this year. Love this, Christine! it's not quite a proper holiday season without a little sparkle i say! Sweet, simple, delicate (and of course a touch of sparkle)! I love this idea! So simple and easy, but it really looks great! So nice !!! This is so sweet and the washi tape really adds something extra. 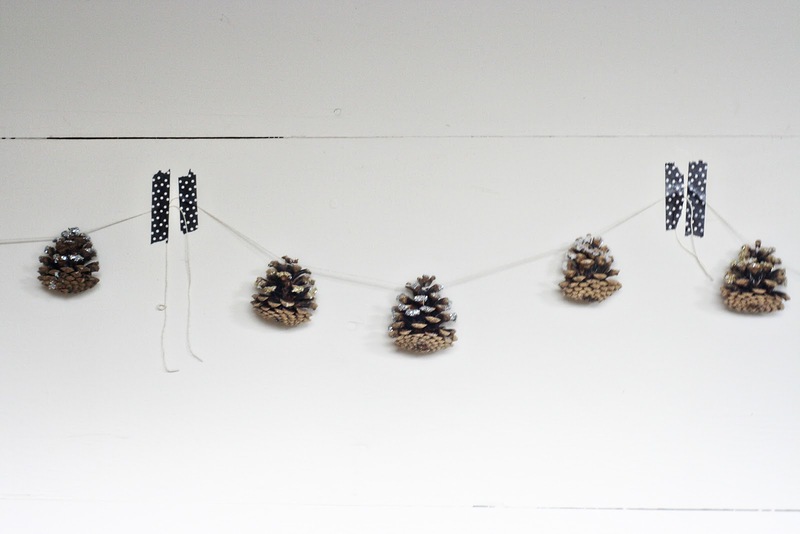 What a cute garland...I love the polka dot tape too! WOW! 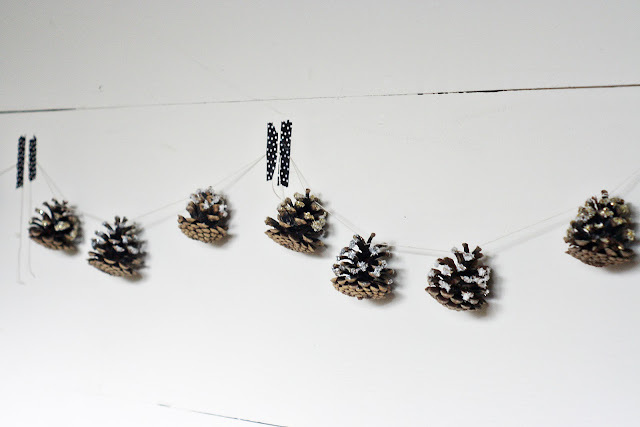 This is adorable!I love decoration garlands with pineconeS! !Is really beautiful! These are so pretty. Love! Such a great idea!! Me and the boys need to make this happen this weekend! 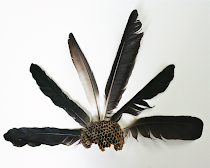 We did this project with the kids on our last camping trip, and they loved it. Never thought to string them together and make garland. You're so clever. 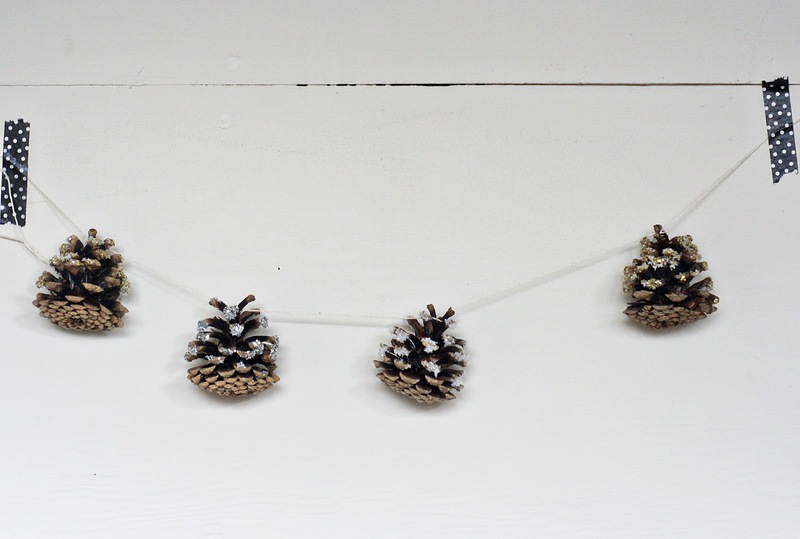 "I have to admit finding and bringing home pinecones makes the walk feel a little bit more like an adventure for me too." So true! We collect sticks and leaves on our walks. How adorable! What a great idea! So sweet.. This is my kind of craft!